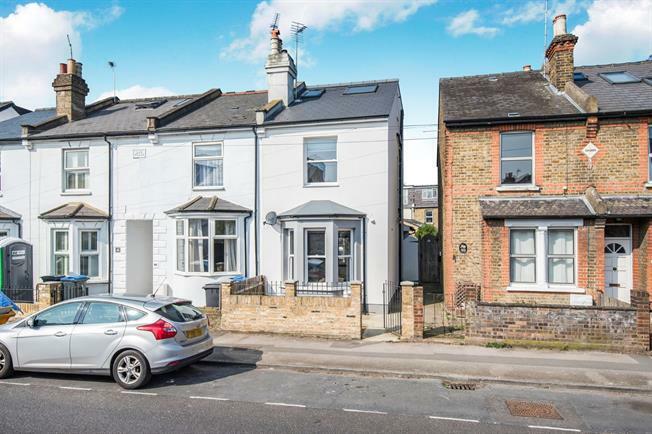 3 Bedroom End of Terrace House For Sale in Kingston upon Thames for Asking Price £900,000. This impressive three bedroom end of terrace Victorian family home comprises a front reception room with sash bay window and feature fireplace, a modern kitchen/family room with integrated appliances, sky lights and bi-folding doors, leading to a rear garden with a Westerly aspect. To the first floor are two double bedrooms with en-suites and the loft has been converted to create a generous master bedroom with a shower room.